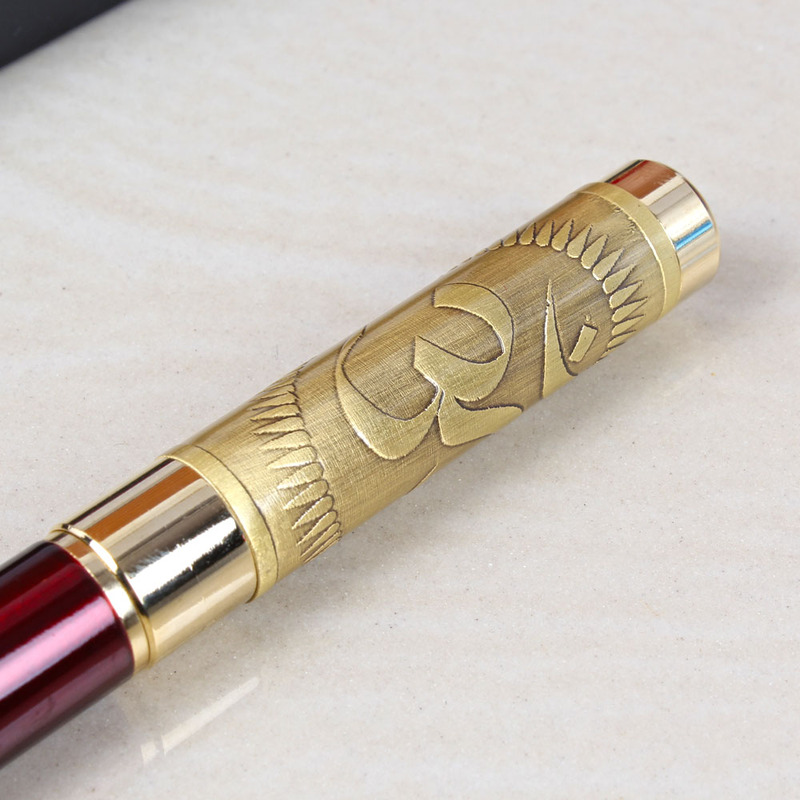 Product Consists : Om Emboss Roller Ball Pen with Traditional floral Emboss Roller Ball Pen In Box. Pen is important things for everyone. 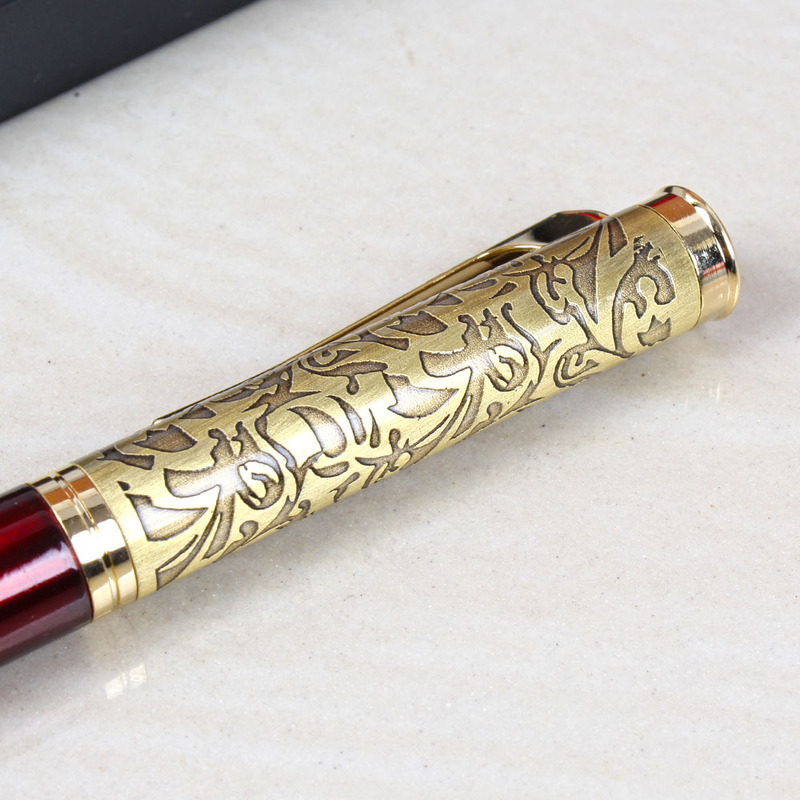 It is writing implement used to apply ink to a surface, such as paper, for writing or drawing. 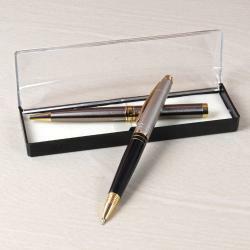 We can gift pen to younger siblings, school Friends etc while their Exam or Interview even we can gift this pen to teachers, boss, and parents as its very useful gift. 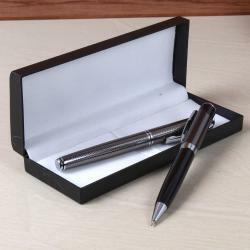 Here we present exclusive two Pens. 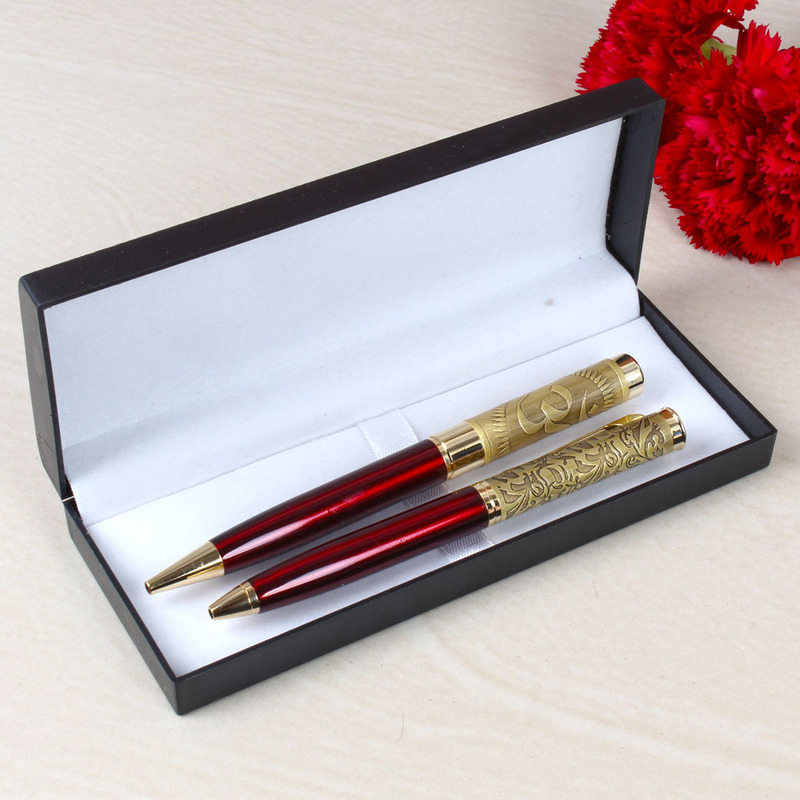 One pen comes with Om emboss Roller Ball Pen and other with traditional floral design embossed both pens are compliment with each other. 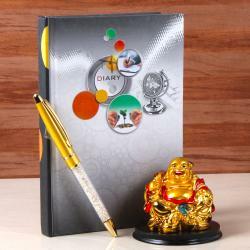 Combo is very suitable in occasion like New Year, Teachers Day, and Thank giving day or to send good luck for exam and new beginning of office and business. So, book your order now. 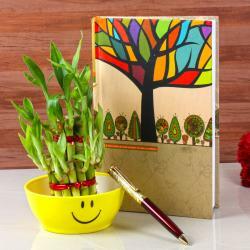 Product Consists: Om Emboss Roller Ball Pen with Traditional floral Emboss Roller Ball Pen in Box.